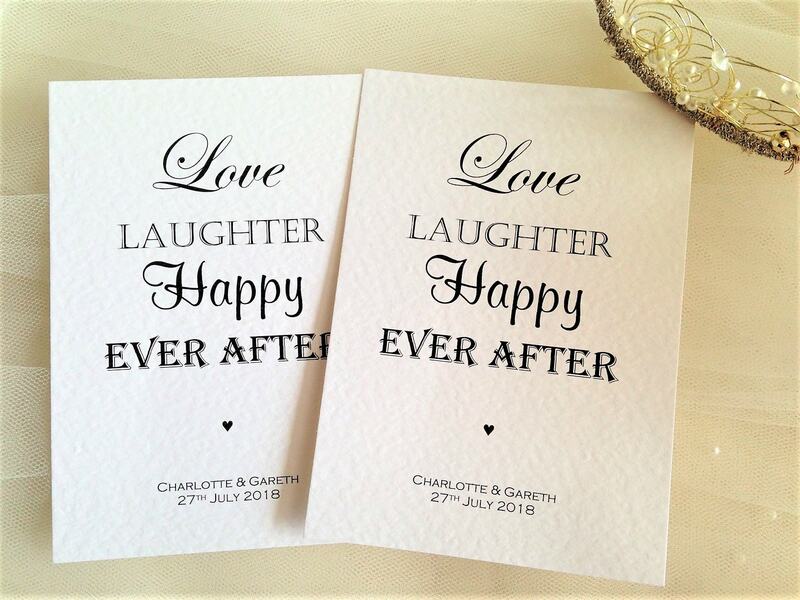 Love Laughter Postcard Wedding Invitations are an elegant postcard style wedding invitation supplied on a thick heavy weight (270 gsm) hammered card available in white or ivory. They can also be ordered on brown kraft card (280gsm) for a vintage look. Supplied with matching envelopes. 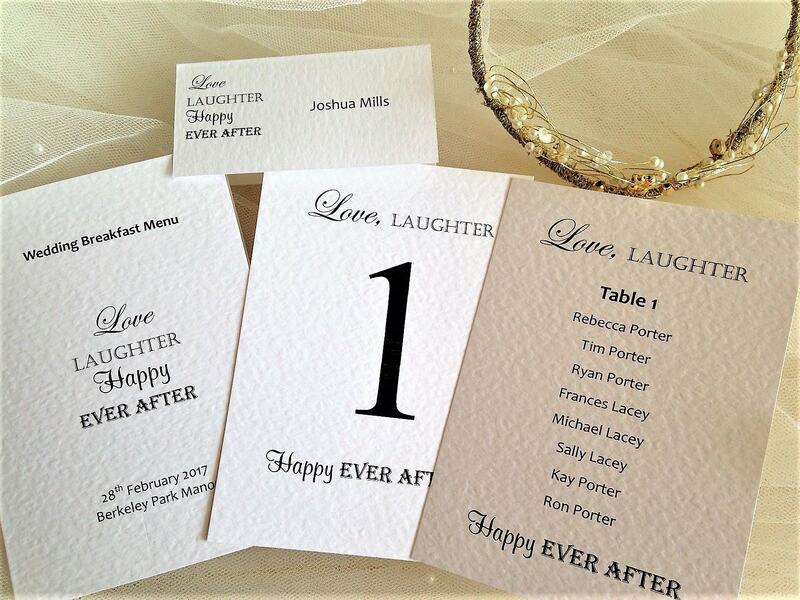 We can print your guests names free of charge (this is optional). 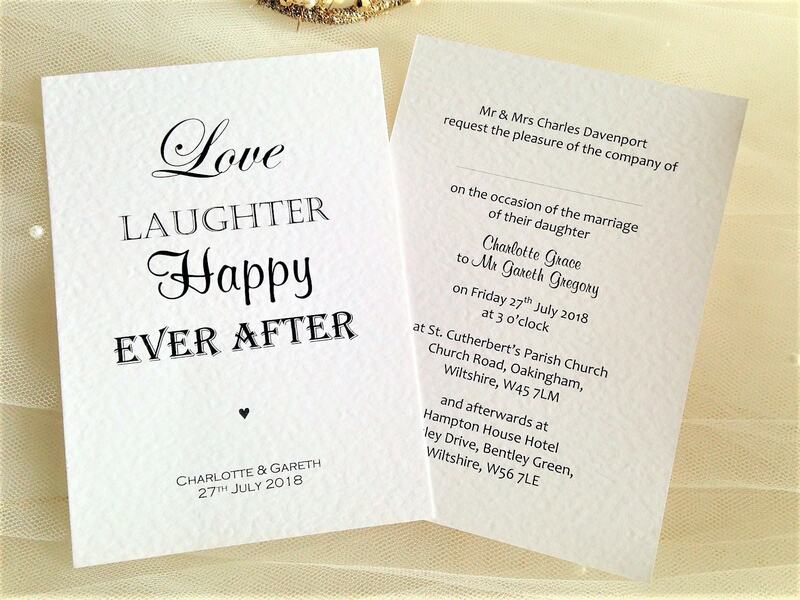 There is a good selection of font styles to choose from for printing invitation details on the reverse. 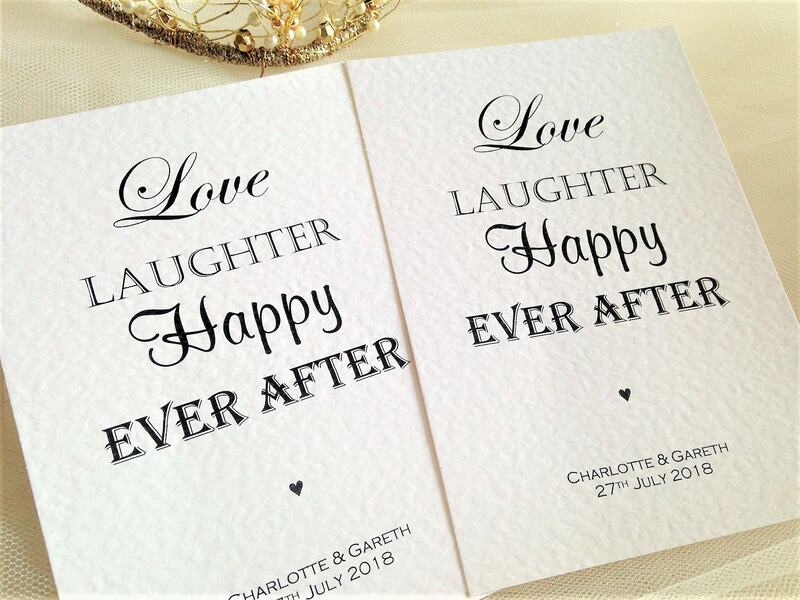 We can print your wedding invitations in any colour to match a colour scheme. 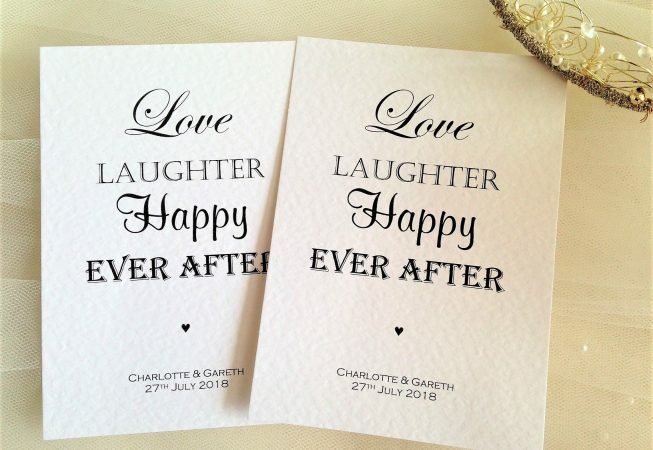 Love Laughter Postcard Wedding Invitations are part of our Love Laughter Wedding Stationery Range. We can supply matching RSVP cards, guest information cards and reception stationery.